Instagram is one of the most famous social networks of this era. It is a platform that allows you to share pictures and videos with your friends and family. Recently, Instagram introduced a new feature just like Whatsapp and Facebook messenger that allows your followers to see when was the last time you were using the Instagram. Personally, I think it is not a great feature and breach of privacy. Now it is just twitter left where even if you are using the app, no one has a clue if you are online or offline. If you are concerned about your privacy and don’t find this feature beneficial, you can disable last active on Instagram. 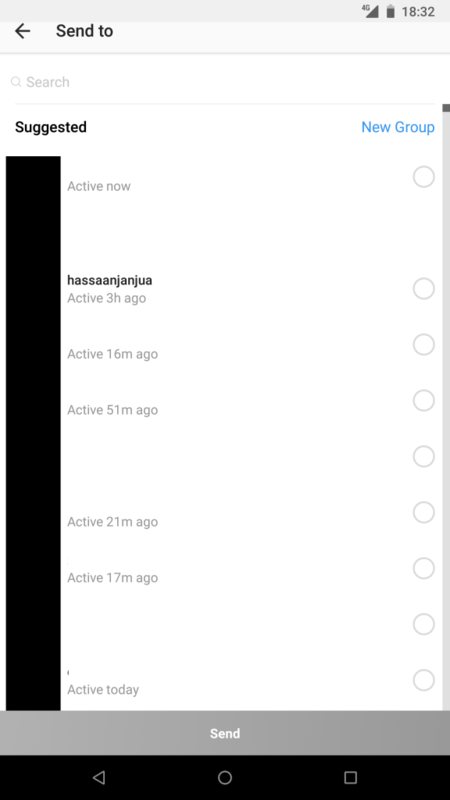 It is called “Activity Status” in the app and it works same as Whatsapp last seen. Instagram is equally famous among all. From commoners to celebrities, you can find almost everyone on Instagram. You can follow famous people, like models, actors, and sportsmen to keep updated about their personal and professional life. Instagram allows you to put tags along the pictures, so all users interested in a specific tag can find all the videos and pictures in one place. I find it the best feature on Instagram. The team and developers of Instagram have kept the app alive even after years of its advent. It gets regular updates and new features, that is why even the old users are still using it. Most people get fed up with using an app for a year or so. Even after snapchat, Instagram still got its cool. Also Checkout: How to mute someone on Instagram. Instagram offers great picture quality for Android users which snapchat fails to deliver. Along with the picture quaily, it has really cool filters that can be applied to the videos and pictures before you upload them to your feed. Its been a year or so that they introduced the story feature copied by Snapchat. Where you upload a picture or video on your profile for 24 hours and it disappears after a day. Now moving on to the real issue that we have to deal with today. Some people are not comfortable others knowing their presence on the web while using any specific app. So they demand total privacy. People having clue about when a user was last online can also create a mess if you are trying to ignore someone on other social networks. Like you can not even use Instagram in peace now. Go to Settings by clicking on the three dots on the right top most of your profile in the app. Navigate all the way down to “Show Activity Status” and turn it off. Now, people you follow or anyone you message will not be able to see when you were last active on Instagram. When it is turned off, you won’t be able to see the activity status of other accounts. That was easy, wasn’t it? If you have any issue or question regarding how to disable last active on Instagram on iPhone or Android device let me know in the comments. Now you don’t have to be worried about your privacy. No one will get to know if you are using the app or when you were last using it, you can scorn people in peace.